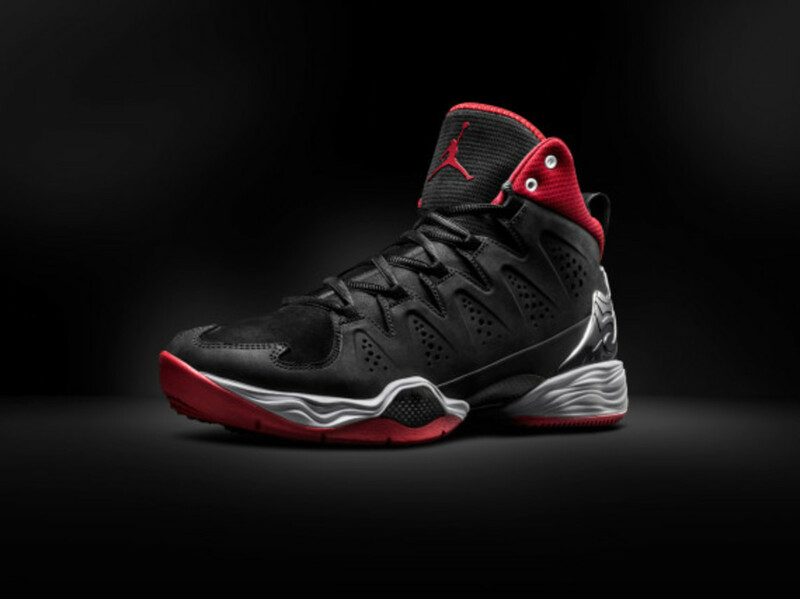 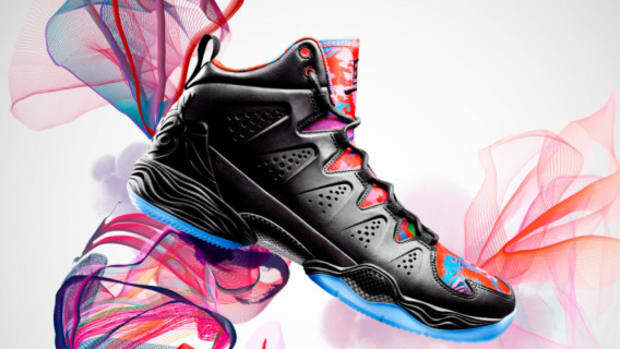 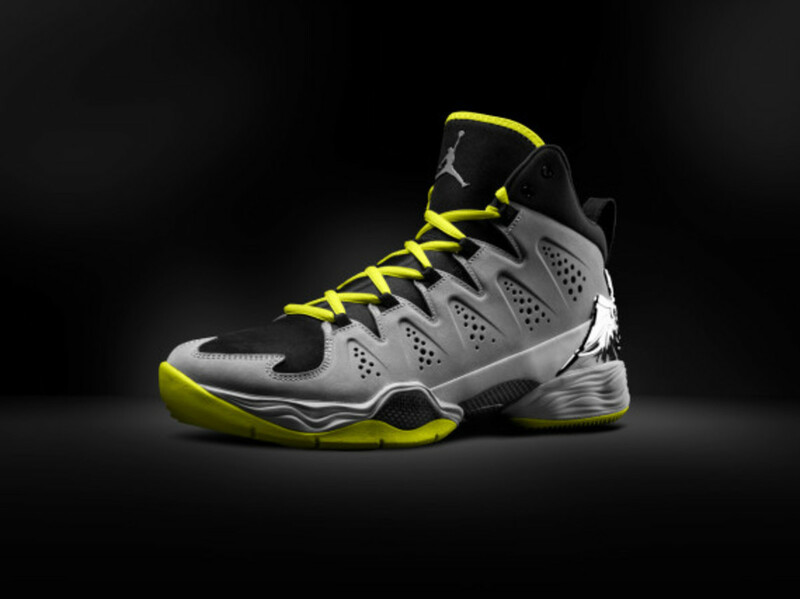 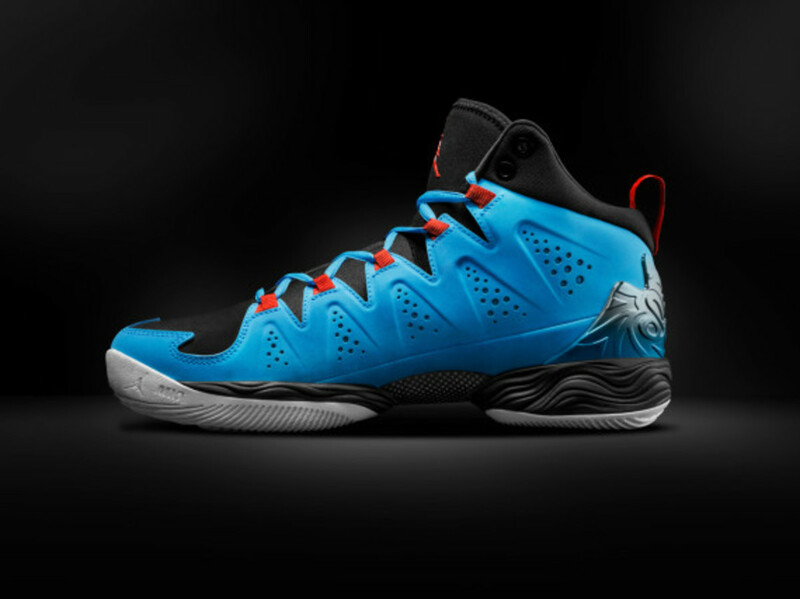 With the arrival of the Jordan Melo M10, Carmelo Anthony and Jordan Brand celebrate ten years of on-court excellence. 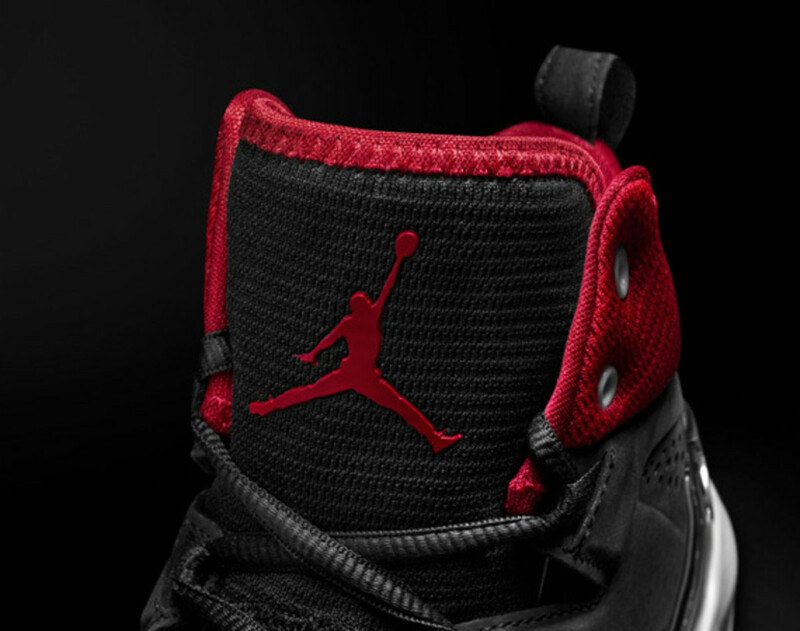 Nike legend Tinker Hatfield was brought in to work with Melo on the milestone shoe, which is laden with industry leading technology and a number of unique design elements. 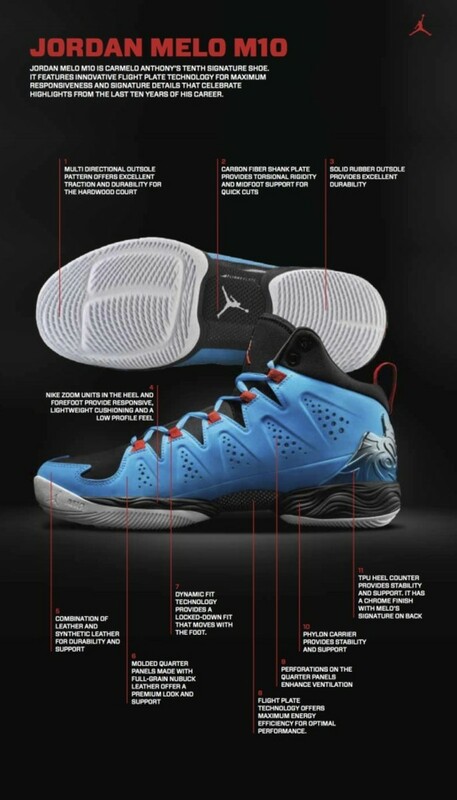 The defending NBA scoring champ would need maximum responsiveness and a lockdown fit -- both delivered by Jordan Brand&apos;s signature flight plate technology, working in concert with the shoe&apos;s dynamic fit system. 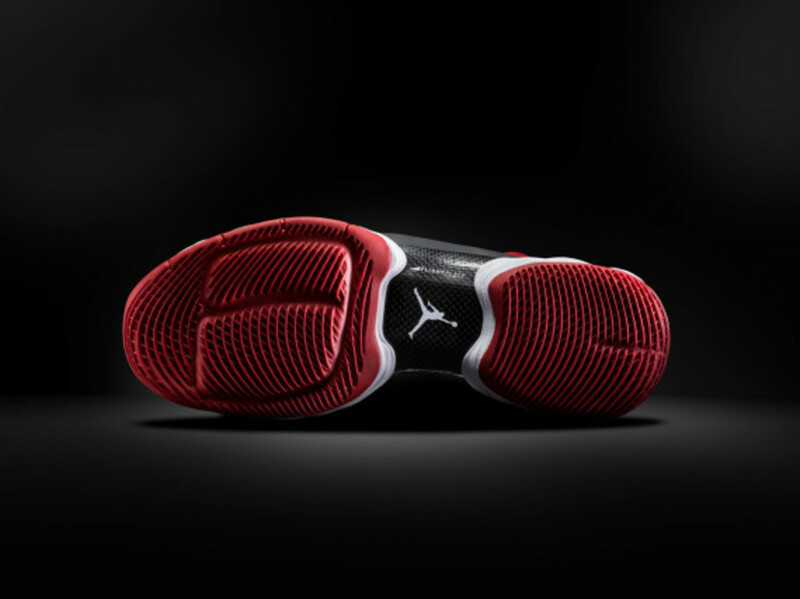 The unique look is enhanced with molded quarter panels crafted from full-grain nubuck leather, coupled with a TPU heel counter good for stability and support. 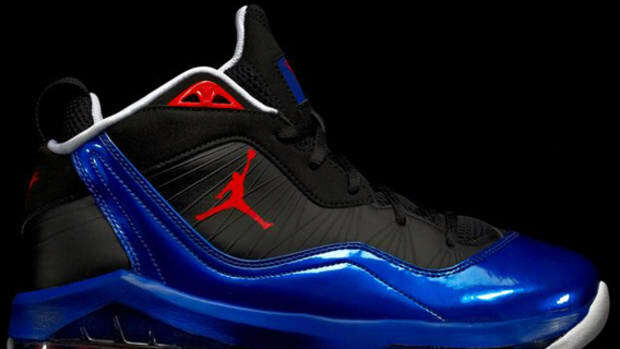 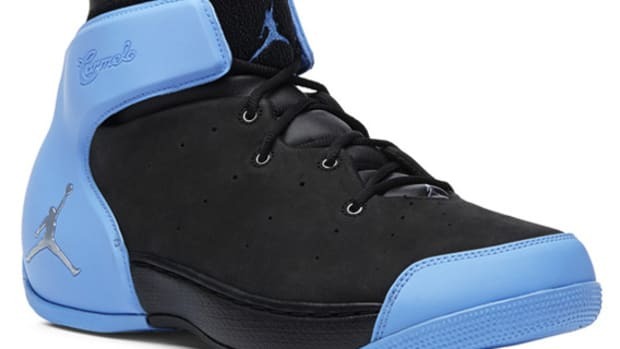 That same heel counter is done up with a chrome finish etched with Melo&apos;s cursive signature, a logo used on the first Jordan Melo shoe from ten years ago. 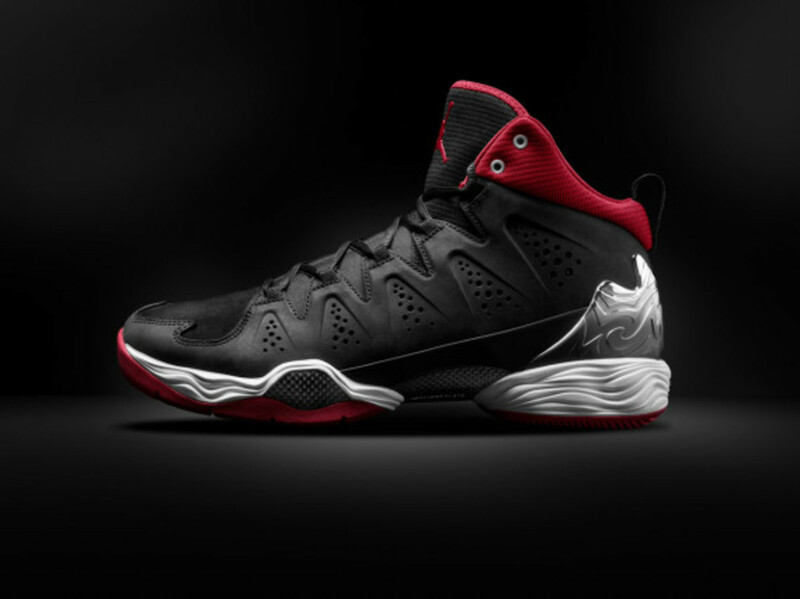 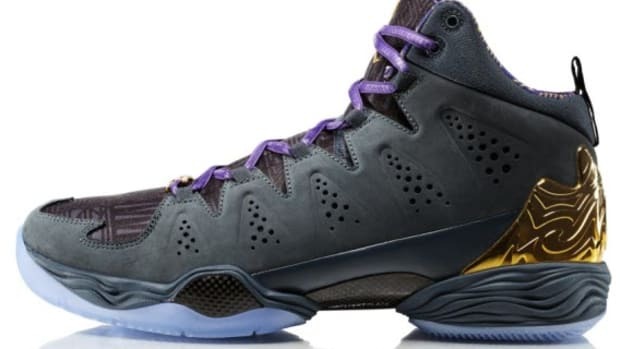 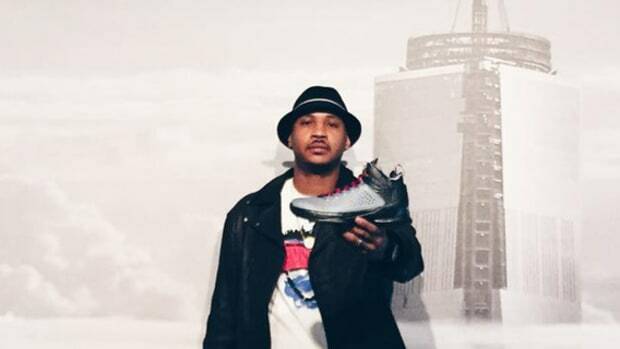 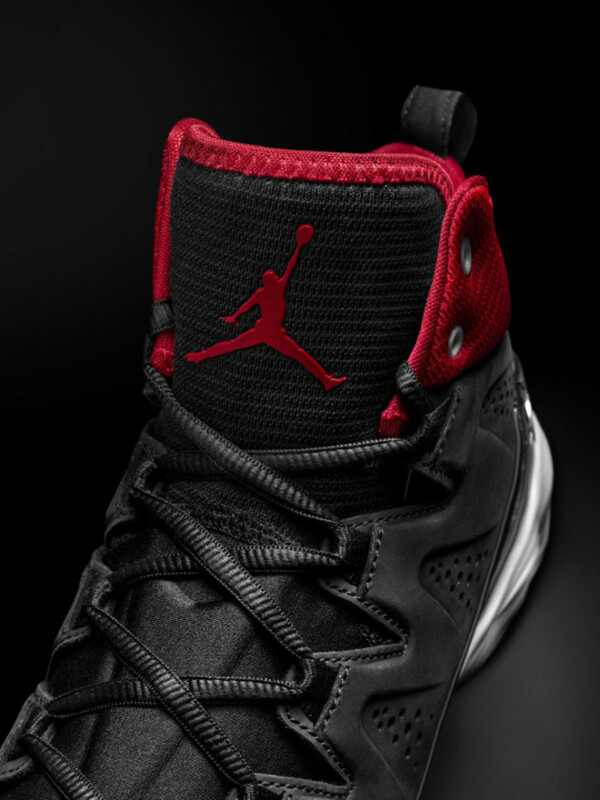 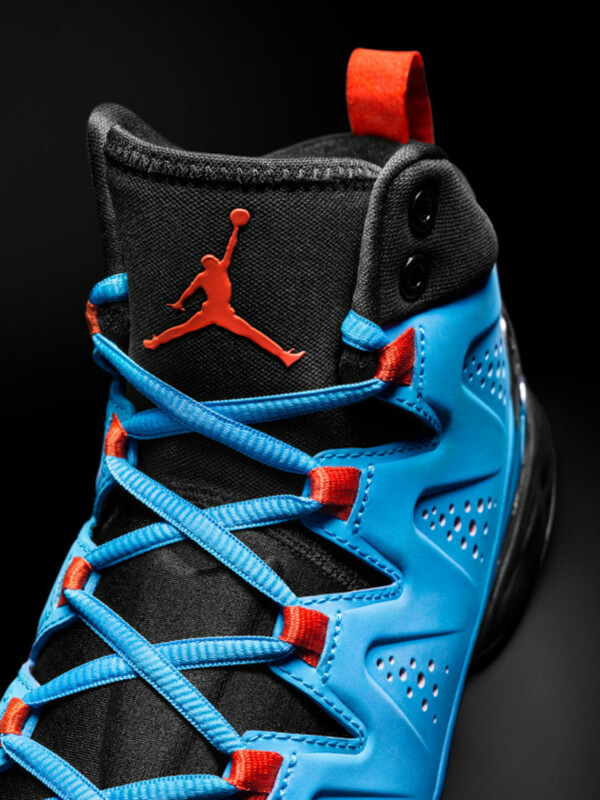 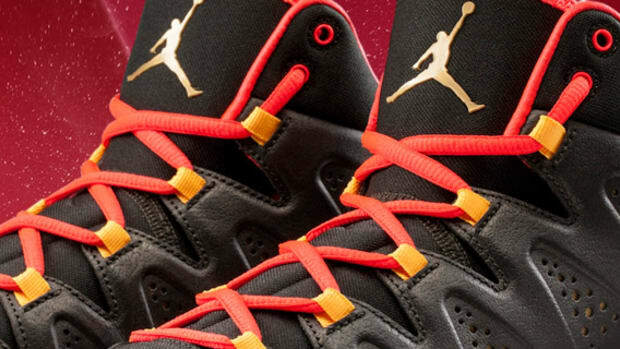 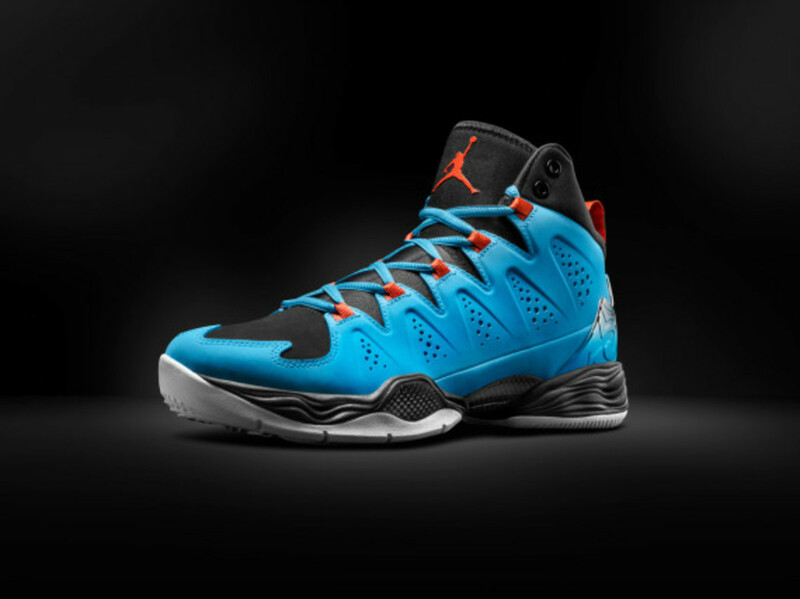 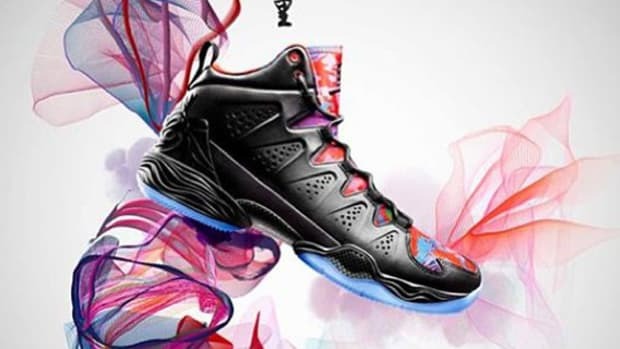 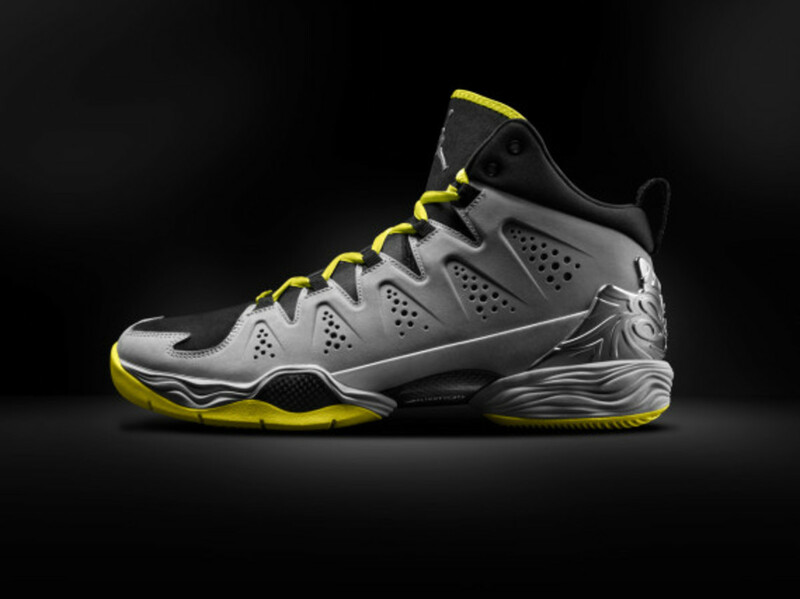 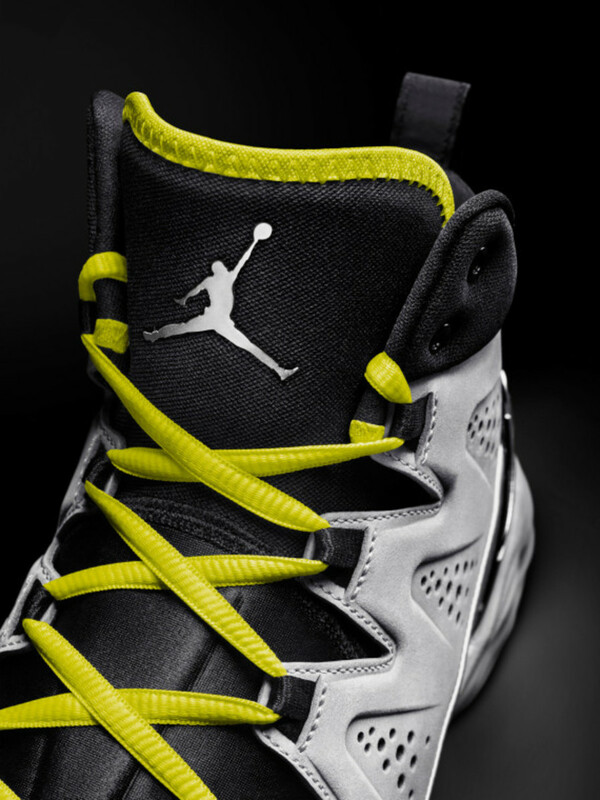 The Jordan Melo M10 is set to drop in an introductory Black/DK Powder Blue colorway on January 4, 2014. 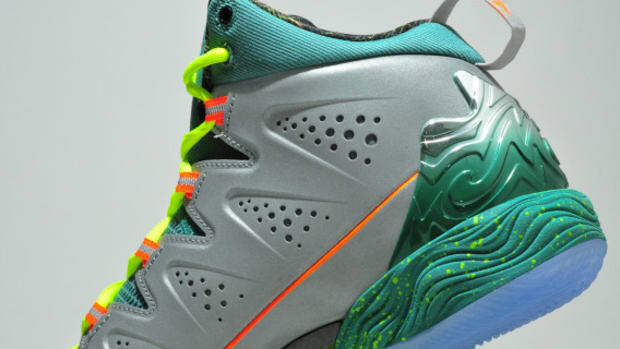 Check out detailed looks and a video overview below.